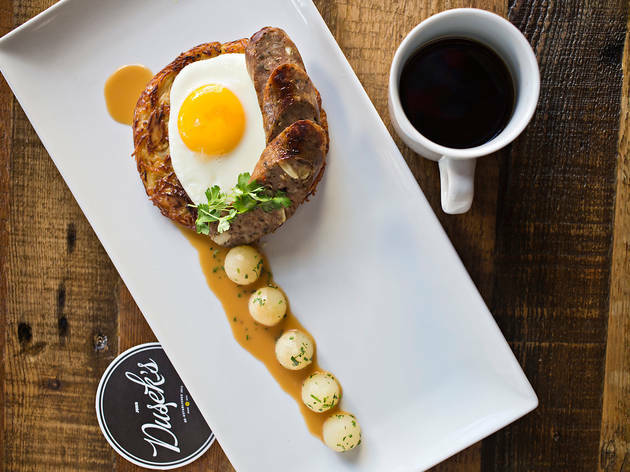 Photograph: Clayton HauckEverything Cracker Crust is on the brunch menu at Dusek's Board and Beer. 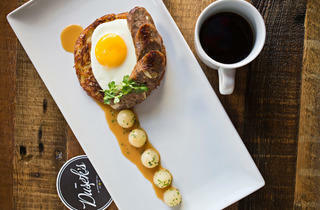 Photograph: Clayton HauckThe choucroute latke is on the brunch menu at Dusek's Board and Beer. 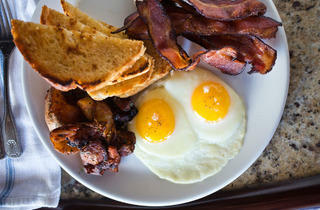 Photograph: Clayton HauckBoard & beer breakfast is on the brunch menu at Dusek's Board and Beer. 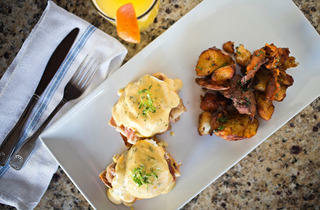 Photograph: Clayton HauckEggs Benedict is on the brunch menu at Dusek's Board and Beer. 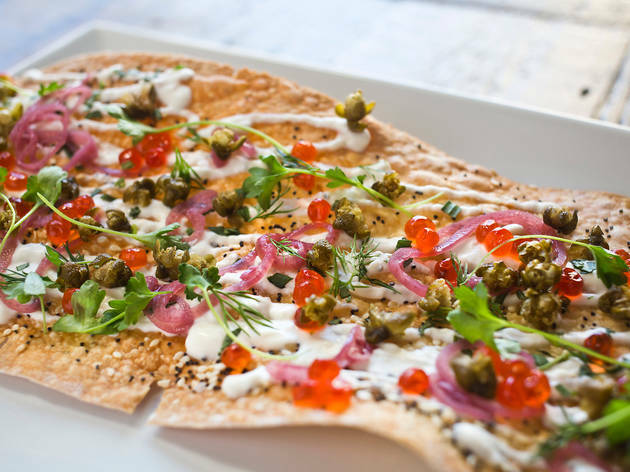 Problem: You want to have brunch at Longman & Eagle, but don't want to wait. Solution: Head to Dusek's Board and Beer (1227 W 18th St). Not only is the food just as good (if not better) than Longman's brunch, but the wait on a recent Sunday morning was zero minutes. 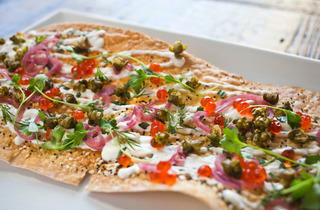 Since both restaurants are helmed by chef Jared Wentworth, it makes sense that the brunch menus run along similar lines. 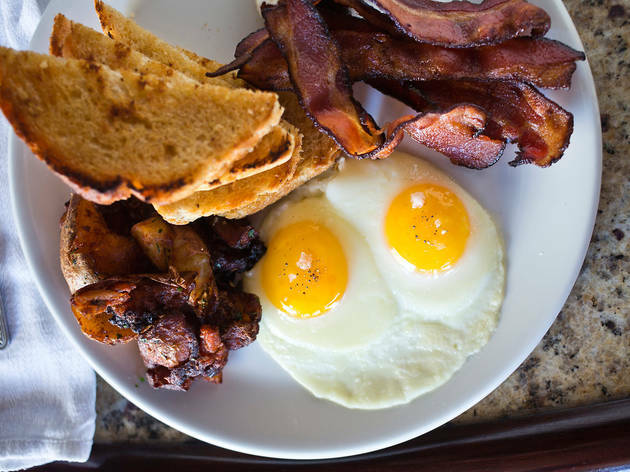 There's an eggs/bacon/potatoes/toast/cheap beer combo plate, housemade doughnuts, and steak and eggs. Dusek's has a mix of communal tables, regular tables and booths, and it's so spacious that you can move around without tripping over other diners. And on our visit, it was empty enough that we could have a long, leisurely brunch, beginning with cups of Dark Matter coffee and cocktails. The Brunch Punch is a nod to Punch House, the bar in Dusek's basement, and it's light and fruity, with gin, citrus, sparkling wine and a trace of cloves. It was pleasant, but I preferred the Kentucky Vecchio, a dry coffee and bourbon cocktail that picks up a hint of bitterness from amaro and citrus from lemon oil. The food menu is divided into breakfast and lunch, and some of the lunch dishes (like the Juicy Lucy) also appear on the dinner menu. We stuck with breakfast, including the oyster hash, which featured potato hash, a trio of fried oysters, a slab of sweet pork belly, a soft-boiled egg and a delicious porter béarnaise sauce. The poached seckel pear Dutch baby was dusted with pie spice-powdered sugar, while the challah cinnamon roll was substantial in size but not too sweet, so eating the whole thing wasn't difficult. When a lemon buttermilk doughnut we didn't order appeared on our table, we began to wonder if we could curl up in our cozy booth and nap the afternoon away. 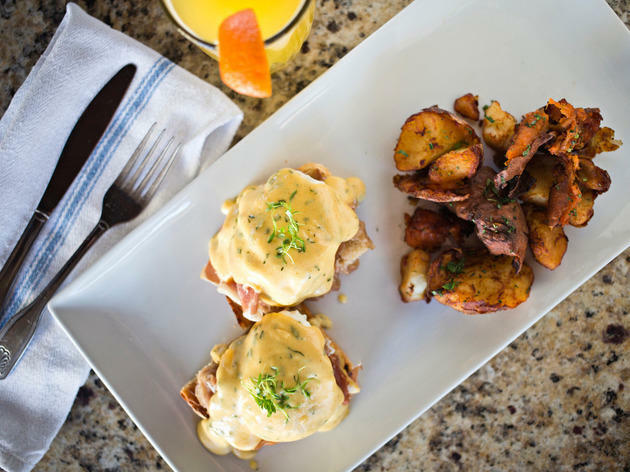 Brunch is available Saturdays and Sundays, starting at 9am.